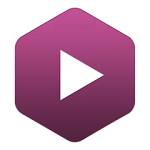 Vrap is multi-platform (Win and OSx) 360-degree panoramas and video player. Play and interact, select and compare, capture desired view, convert your panoramas to 360 videos. Common tasks in one place in one click. PS - try it, test it, let me know which features you want to see in such player. Developing is in progress, so we can make powerful and useful app/tool together. Trial period of previous version is expired. And you will get code error! I am not sure about a few things, but i think i may be not understand fully. Is there a sort of help me file or read me with how to use? I see also some translation problems i think. But the most i would need is how to use for dummies. Yes. It would be nice to have atleast a readme file as it will give a proper insight. Update is available, minor bug fixes and improves. So, your camera button in Export View mode, you click on button and getting black image? if so, may i ask you few questions: system (mac or win) pano type (image, pano, video) resolution, extension, view size? Ok, so is it working and no errors or black images for now? if yes then great, let me know if you get some errors or something please. "Trial period prolonged till 31 January 2017"
And try to kill all vrap rpocesses in task manager if you run it on Windows system. Thank you for creating. This is a fantastic tool. I'm looking froward to the updates!